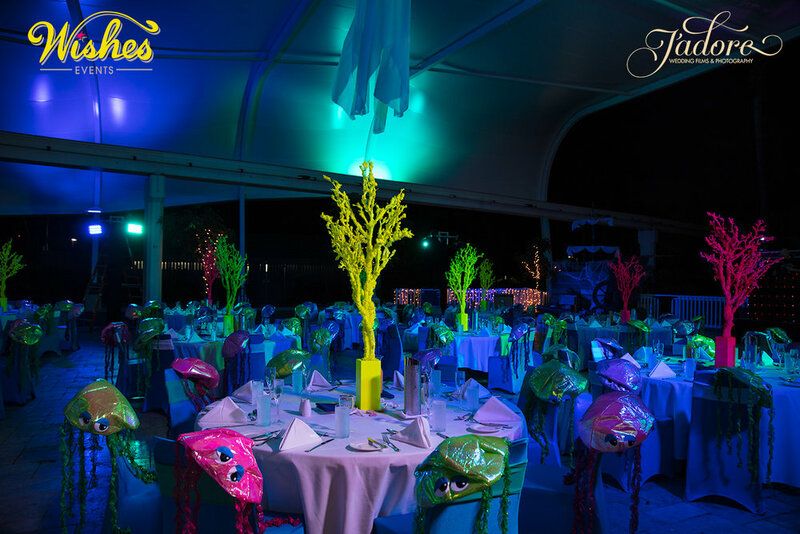 Not so long ago now we had the pleasure of shooting a magnificent underwater themed corporate occasion at SeaWorld, styled by Wishes events. 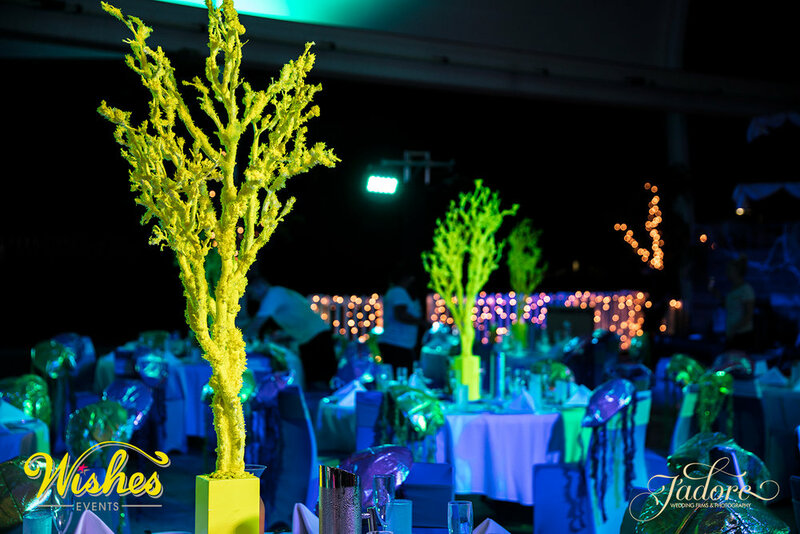 As soon as we had arrived the team was well on their way to accomplishing an amazing set up, as per usual their work is effortlessly creative. Setting up the cameras we got also got to work, snapping away as the underwater world magic unfolded In front of us. 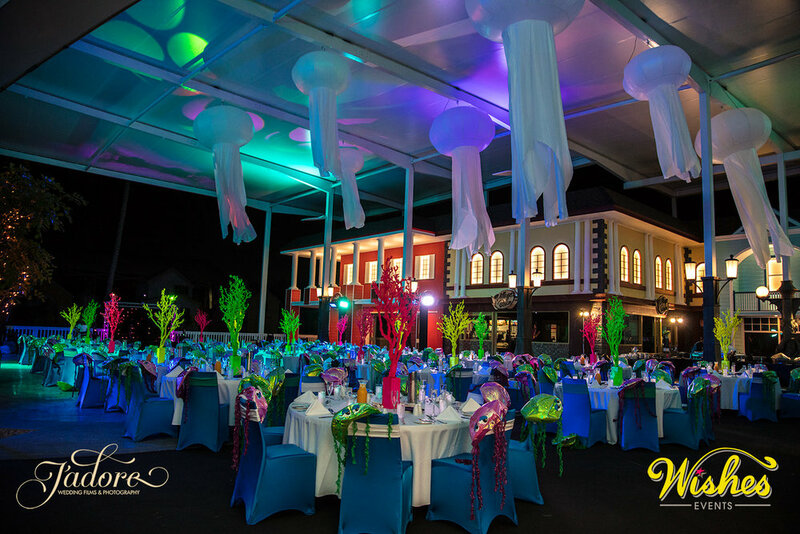 As you will see in the images below they had beautiful multiple sized white jellyfish hanging from the ceiling, with coloured lights inside they looked awesome. Jellyfish hats hanging off of each chair also added to the SeaWorld feel they had aimed & achieved creating. Whilst also having the background noises of the seals you really did feel like you were right beside the ocean, it was a unique experience I as a photographer thoroughly enjoy. The diversity my occupation brings me never fails to disappoint. 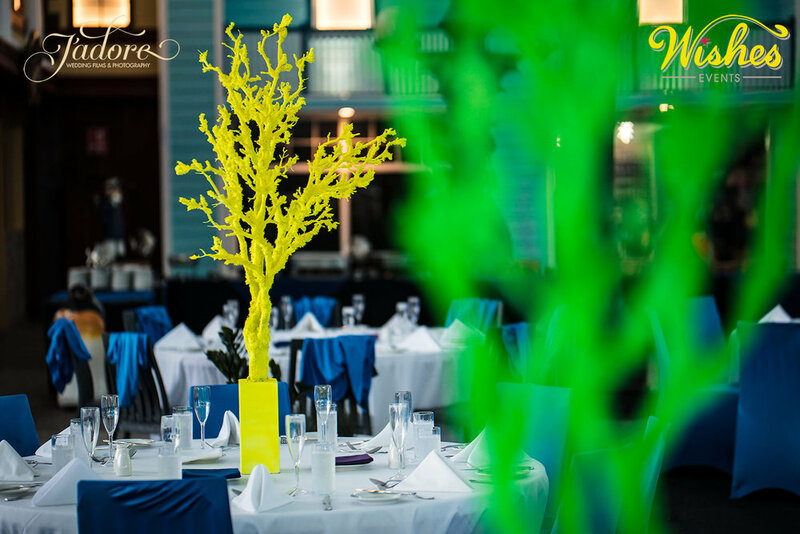 Not long after they had completed the table set up the crew moved onto the ships decor, which might I add turned out looking amazing. 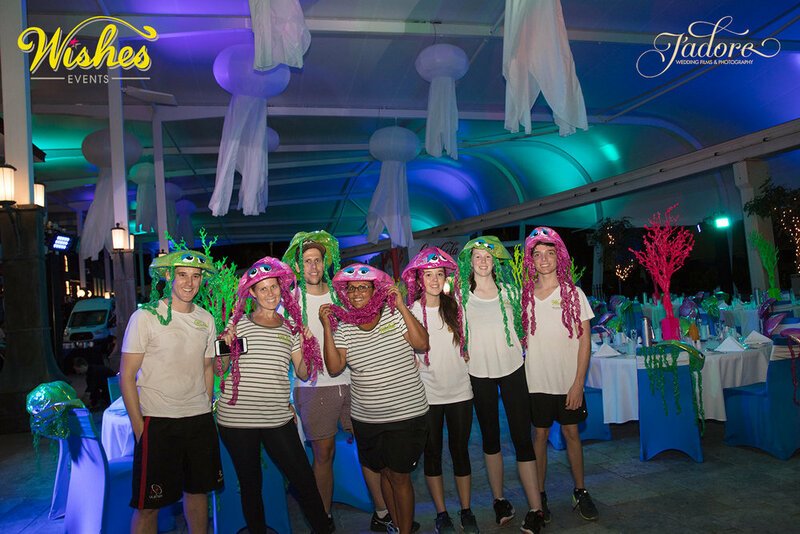 This team really does go above & beyond to create the perfect event. shortly after they had finished the ship I had the pleasure of going on the scissor lift to shoot from above, showing a birds eye view of the gorgeous setup. After a few team shots in front of the ship & the event set up it was then time to leave & let the guests enjoy the underwater world they had just created. By this point it was also time for us to leave as well. Thank you for taking the time to read our blog, we appreciate each & every comment we receive so please do feel free!